This has got cult film written all over it but it just comes out as rubbish. I think it comes down to the humour. Infantile and silly. 'But evlkeith,' you say 'You love infantile and silly humour, for example Bottom and Monty Python.' True, true. But the difference is that the aforementioned programmes are infantile, silly, surreal, full of toilet humour and people hitting each other repeatedly with cricket bats. Science fiction and comedy can work well together: Weird Science, Farscape and Firefly. 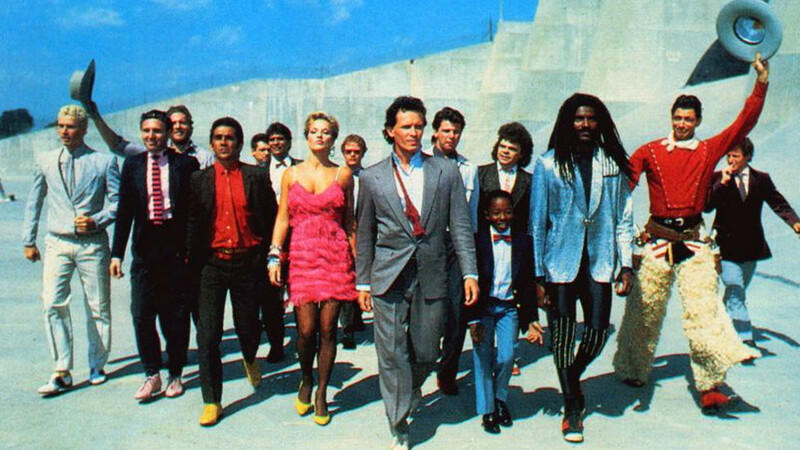 Buckaroo Banzai is just pathetic. The film smells so badly of the 80s it grates. The fashions, the music, the haircuts all irritate me immensely for some reason. Don't get me started on the cast. Peter Weller: great as Robocop, a personality bypassed robot, rubbish as Buckaroo Banzai, a supposed pop star with personality seeping out of every orifice. And just by saying 'Buckaroo Banzai' fifty million times as if he's important, doesn't actually make him important. Then you have Goldblum playing the usual Goldblum character, dressed as a red and white cowboy. Hate him with a passion. 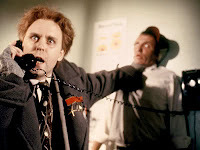 John Lithgow plays the baddie and hams it up like pork scratchings are going out of fashion. Really irritating. Christopher Lloyd: great in Back to the Future... oh, you get the idea. On to the positives then: erm... you can sharpen the edge of the DVD and use it as a Death Frisbee? Oh, okay, at a push, there are some likeably quirky alien spaceship special effects. Big Trouble in Little China, Starcrash, The Lost Empire (if you really want to be tortured). 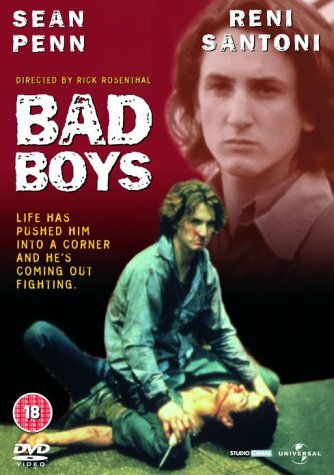 The penultimate instalment in our 80s Prison Season is Bad Boys, not the 1995 Michael Bay one, but the 1983 one starring Sean Penn. 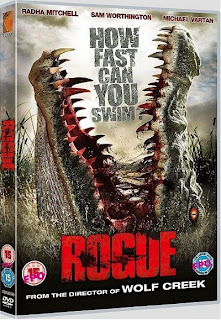 I can remember seeing the video case for this when it first came out at Creepy's Video Emporium (a quality video shop from the days when you could rent video nasties). I never actually rented it out because it didn't appeal to me at the time. Let's see what I missed. Doccortex would probably love this because even though it is a prison film (getting lots of ticks on the Prison Checklist), it is also quite gritty (see the Gritty Checklist). 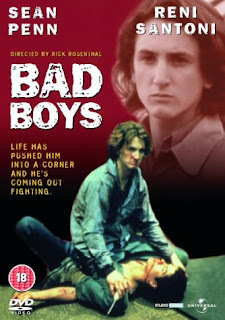 Bad Boys is the American equivalent of Scum. 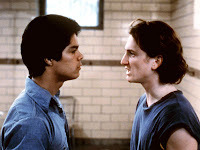 Set in a 'Bad Lads' institution, Mick O'Brien (Sean Penn) is sent down for shooting a gun in public, thieving and killing Paco Moreno's (Esai Morales) younger brother. Paco is also a bad boy, involved in drugs and helmet haircuts. 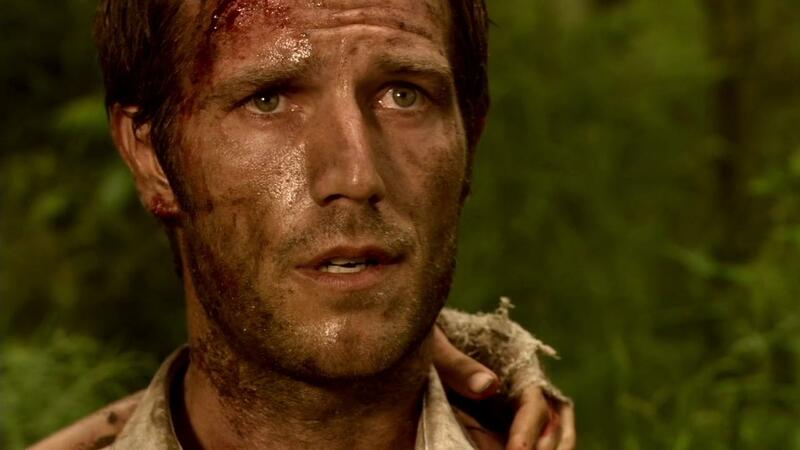 In a similar fashion to Avatar, you know the whole plot of the film after the first half an hour. At least this is fun though. A lot of the entertainment comes from Horowitz (Eric Gurry) who befriends O'Brien, shows him the ropes and eventually becomes his Lieutenant. He's likeable and funny in every scene he's in, especially when he kicks another helmet head, Viking Lofgren (Clancy Brown), in the chicken nuggets and does a little victory dance. The inevitable showdown between O'Brien and Paco is well done. It has the feel of a proper scrap, not a choreographed Hollywood fight. Again, all very predictable, but quite wince inducing when one of our bad boys get stuck by a shiv in his leg. 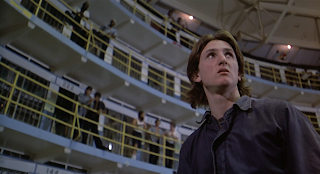 The whole thing is very formulaic, but then, aren't most prison films. 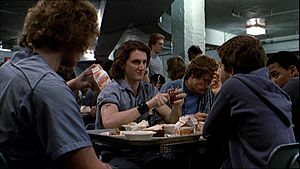 It wouldn't really count as a real prison film if the other prisoners welcomed their new inmate chums with apple pie and then took them for a cup of Earl Grey and a chat about Dostoyevsky. Enjoyable enough, just don't expect too much. The Warriors, Scum, Prison, An Innocent Man. 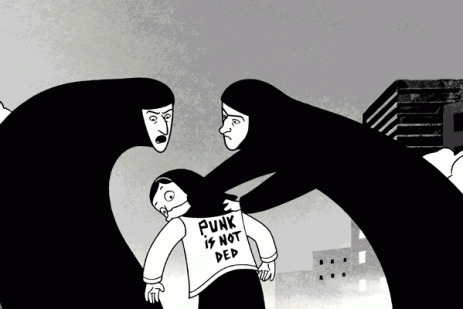 Persepolis is an animated interpretation of the autobiographical graphic novels by Marjane Satrapi detailing her life growing up in Tehran around the time of the Iranian Revolution. The film is an intensely personal analysis of Satrapi's early life experiences, relationships and family history and is at times genuinely moving, frightening and funny. 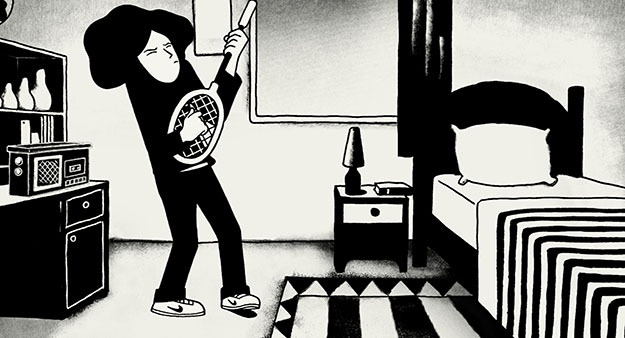 The story is told in a simple and straightforward narrative that reflects the style of the graphic novel perfectly and allows us to fully empathise with Satrapi's emotional responses to the situations she finds herself in. 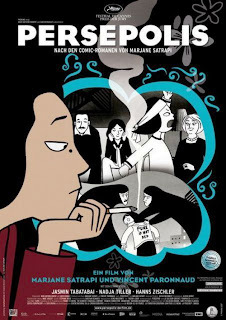 The whole story is intensely political on a variety of levels but is made more real and relevant as we view the world through the eyes of Satrapi initially as a young girl growing into a young woman. 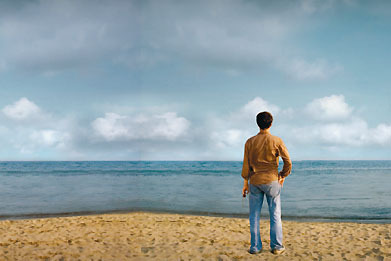 Although set in Iran, the film uses the lack of colour and generic cityscape backgrounds to illustrate how easily this situation could happen in any country. 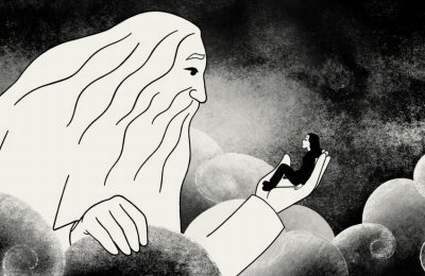 If the story is the central feature of the film, the simple but beautiful animation comes a close second. It's a minimalist approach that really works in conveying the atmosphere of fear in an everyday community with the odd splash of colour jolting us back into the present. The silhouetted scenes of the Revolution and state police are particularly striking and scary, with the dreamy suicide scenes equally moving and unnerving. A great film with a unique perspective, thought provoking messages and stunning artwork. 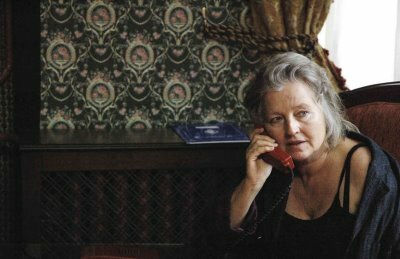 Belleville Rendez-Vous, The Diving Bell and the Butterfly, The Lives of Others. I saw this nearly two years ago at the Celluloid Screams festival in Sheffield. It's only just come out on DVD. I can't believe it hasn't been picked up for release sooner. It's been worth the wait. Most horror films now aren't scary in the slightest. Perhaps I've seen too many. Possibly. 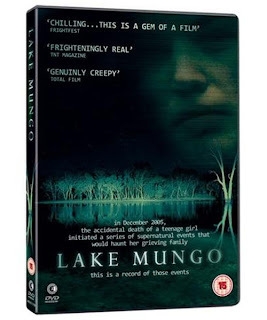 Lake Mungo sent actual shivers down my spine at least three times. When I first saw it, there was one massive shock that stuck with me. On second watching, I was expecting what I remembered, rather than what actually happened and it didn't have the same effect. I will have to try watching it again. Lake Mungo is a ghost story. A family is devastated by the drowning of their daughter (Talia Zucker). 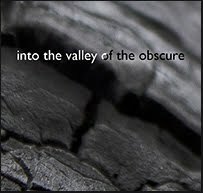 The film follows their life after the event and how they cope with their grief. The documentary style to the proceedings gives the film verisimilitude (always wanted to write that, probably haven't used it properly on account of me being a thick northerner). The acting is perfect throughout the film. It would have only taken one duffer to pull you out of the film but it doesn't happen. The dad (David Pledger) is truly excellent, smiling at times that seem wholly inappropriate, but you do see people in real-life do this as a coping mechanism. The actors who don't actually have massive speaking parts are also great. For example, the granddad sits looking down and nervously playing with his fingers whilst his wife speaks to the camera. Exactly what you'd expect. As a mystery, it doesn't work quite so well. 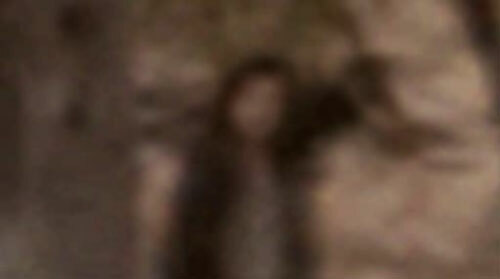 The revelations are all unnerving and get darker towards the end but they are not necessarily linked. I was initially disappointed by this, as I've been conditioned by other films to like mysteries where events have a knock on effect. Doesn't happen here. Now, I think it makes the film more realistic. In life, events are not always connected. Rumour has it that there's going to be an inevitable remake. Why? Surely the fact that it's Australian adds even more to the reality of the film. Watch this rather than wait for the sub-standard version. A welcome break from insipid overly shiny HD horrors. Paranormal Activity, Rec, The Silent House. Necronomicon is an anthology based (loosely) on H.P. Lovecraft's work, with three parts, each directed by a different director. Brian Yuzna also directs the linking sections with the ubiquitous Jeffrey Combs (Re-Animator), in subtle facial make-up to play the part of Mr Lovecraft. I saw this when it first came out and really enjoyed the first section, directed by Christophe Gans. I’ve seen it to buy for a while on DVD, but it’s always been really expensive, especially since I wasn’t that bothered about the other two segments. Finally, it has come down to a vaguely reasonable price. I was slightly nervous that my memory would let me down and it would all be rubbish. Luckily, the Christophe Gans section still works today. Easily the best part. It has the right feeling for a Lovecraft tale and he’s worked miracles with what must have been a small budget. There are some ropey, very early CGI shots but the practical effects are great with some greasy tentacles and a huge one-eyed monster (oo-er). Atmospheric throughout and a beautiful final shot. Christophe Gans was obviously destined for greater things. The second section by Shusuke Kaneko is okay. 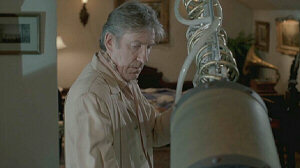 It still retains the feel of Lovecraft, plus David Warner is in it. What is actually happening is fairly obvious from the start and the way that a young lady falls for an obviously mad older doctor, who just happens to be freezing cold to the touch, is a tad preposterous. Not the best of chat up lines: ‘Here. Feel my hands. They’re freezing cold. Are you intrigued to find out what else is a bit chilly?’ Works for him though so I can’t knock it. Standard issue but enjoyable. Brian Yuzna has directed and produced some great films: Return of the Living Dead Part 3, Society and Re-Animator. The third section of this film seems to be the start of his tone becoming more unpleasant, with characters who you don’t care about, which carried on into his later films, such as Faust. He was probably ahead of his time as many modern horror films follow this trend now. The main problem with this section is that it doesn’t have a Lovecraftian feel and the creatures are laughable. It is a shame that the three parts get progressively worse. The linking sequences in the library are fun, but rubbish. The ending is bonkers, but it does make you think that a full film involving Lovecraft killing monsters would be great. 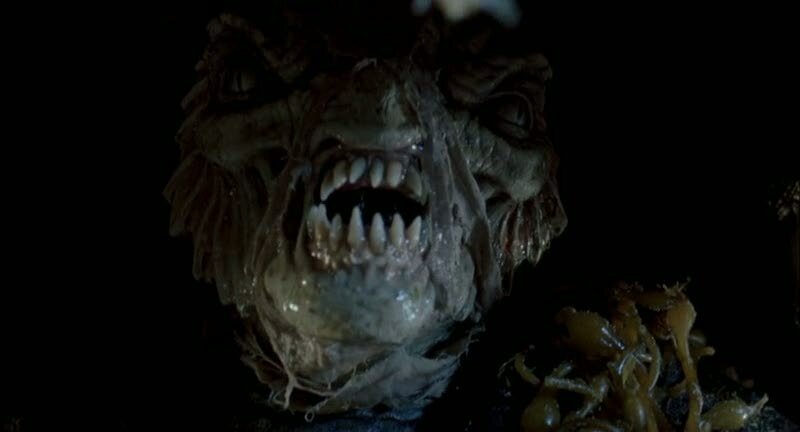 Definitely needs Jeffrey Combs to play him though. As a total package, there’s a lot of Lovecraftian fun to be had. No section is truly awful and you could do a lot worse for a Friday night horror. 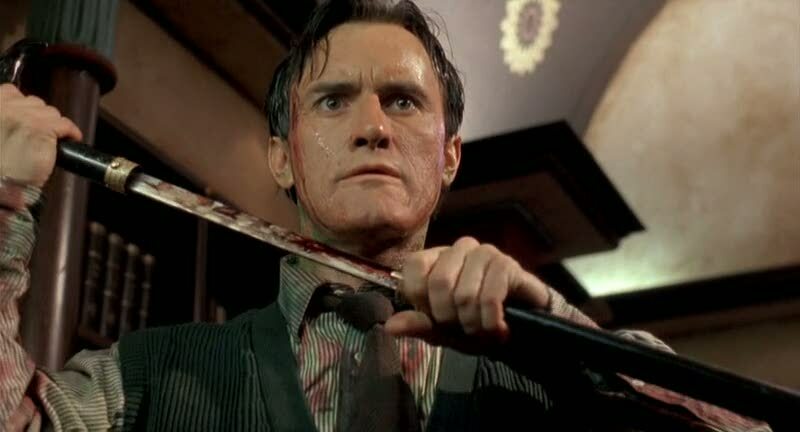 Re-Animator, Silent Hill, Brotherhood of the Wolf, Return of the Living Dead 3. The cover of Akin's German/Turkish human drama is so tantalisingly gritty that I could hardly wait for the euro-tinged grit-fest that would surely follow. In the stark red and black design, all the elements of the Gritty Checklist are covered: prostitutes, tangled relationships, children with guns and men staring out to sea. However in this case maybe I shouldn't have judged a book by its cover. 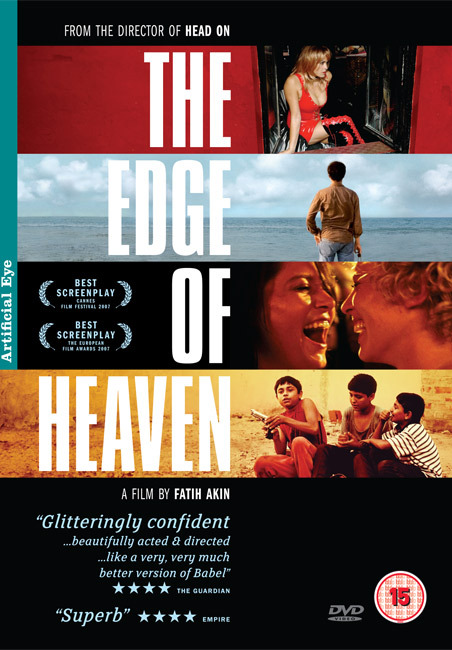 The Edge of Heaven is essentially a sedate journey through the relationships and interconnections between three families in either Germany, Turkey or both. It's is outstanding in its ordinariness and scores no more than 10% on the Doccortex Grittiness Scale. It's more a German TV film or Play for Today rather than a cinematic masterpiece. More irritatingly, it tries to be clever and ironic in the way it shows the paths of the characters criss-crossing throughout the film, but it's a luke warm attempt. This has been done so much better in a range of other films with Amores Perros instantly springing to mind. The only piece of gritty camera work on offer is the overused shot from the front or rear windscreen of a car in the frequent journey sequences, which is too little, too late. All the acting is acceptable but with no-one standing out in any way, shape or form. None of the characters are remotely likeable or generate any strong feelings so it's hard to engage with proceedings on any emotional level. A great example of world cinema this isn't, but if you want a semi-decent German TV film, this is the one for you. For an altogether more enjoyable experience; just look at the DVD cover and imagine the film that this conjures up! Amores Perros, City of God, The Lives of Others. I saw this a fair few years ago and I wasn't that convinced by it. But when I had the chance to see it on the big screen at The Showroom in Sheffield as part of Celluloid Screams, I thought I'd give it another chance. Still not convinced. I think I'm going to include two unpopular statements in the next paragraph. Here we go. I appreciate that The Beatles have been really influential in changing music but personally I just don't like any of their songs. They all grate on me. It's the same to some degree with Mario Bava films. He has obviously been influential, but I'm not that keen on his films. They're okay but not what I'd call classics. Phew. That's that out of the way. 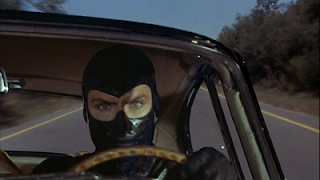 Danger: Diabolik is about a big camp gimp, called Diabolik (John Phillip Law), who charges about thieving stuff for his lady friend. The whole film is as camp as you like. It has it's funny moments, but only in a chuckling kind of way. The comedy launching of Diabolik off a catapult is one such occurrence. 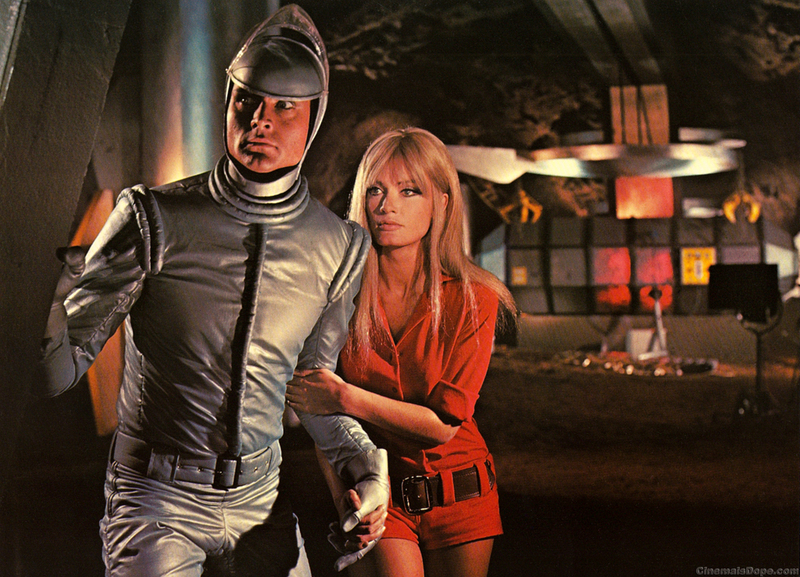 Despite my previous statements there are positives; Marisa Mell as Eva Kant is probably worth the asking price alone. Hotpants action ahoy. Terry Thomas is in it too! Easily stealing every scene as a politician. Shame there's not more of him. It would have been good for him to have a third main appearance as yet another minister. Technically, the film is great. 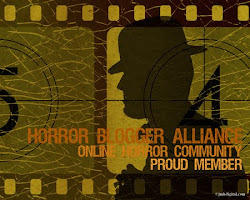 Bava has made a small budget go a long way using various techniques. The interior of Diabolik's hideout is a 60s marvel. 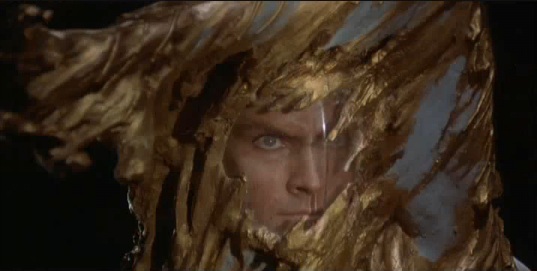 The ending contains a stunning image of Diabolik encased in gold. I don't know how he does it, but the texture is gorgeous and typical of the cinematography in Bava's films. The music by Ennio Morricone fits the film perfectly. The main theme Deep Deep Down is worth a listen even if you don't watch the film. So, not a bad way to spend an evening. 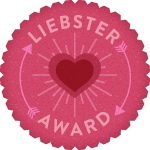 It is fun and is probably even better if you've had a few Tizers. The Castle of Cagliostro, Barbarella, Our Man Flint. It’s got Nathan Fillion in it. It can’t be all bad. Normally, romantic comedies make me want to violently remove my eyeballs with a melon spoon and syringe my ears with a rotary hand whisk. Amazingly, this one doesn’t. It’s probably because it hasn’t got one of your traditional big name romantic comedy leads. This results in it being far less irritating and more grounded in reality. Keri Russell plays Jenna, a pie maker who is married to a cringe-worthy, violent control freak, Earl (Jeremy Sisto). When she discovers she is pregnant she visits the nervous new doctor, Dr Pomatter (Nathan Fillion). As you can probably guess, romantic scenes abound. Not many surprises there. The two leads make the film. Keri Russell is believably and understandably miserable for most of the film and the names she makes up for her pie concoctions always raise a smile. Nathan Fillion’s facial expressions are at his best just after a clinch with Keri Russell. Not much nose flaring though, sadly. The supporting cast are all entertaining. Old Joe (Andy Griffith) is the owner of the pie shop and he’s a right miserable old goat. He also steals every scene he’s in. The rest of the staff in the pie shop all contribute to the tone of the film, all bringing their own love-life problems into the mix. The plot moves along quickly without any dull moments. There are a smattering of funny lines throughout the film but nothing that makes you cry laughing. But if a grizzled gore boy like me can watch it and enjoy it, I would have thought anybody could. Sadly, the director/actress Adrienne Shelly was murdered before the release of the film, just as she was starting to hit her stride as a director. Juno, Little Miss Sunshine, Garden State, Serenity. I saw this on holiday for the first time last year, when I was desperate for something half decent to watch. 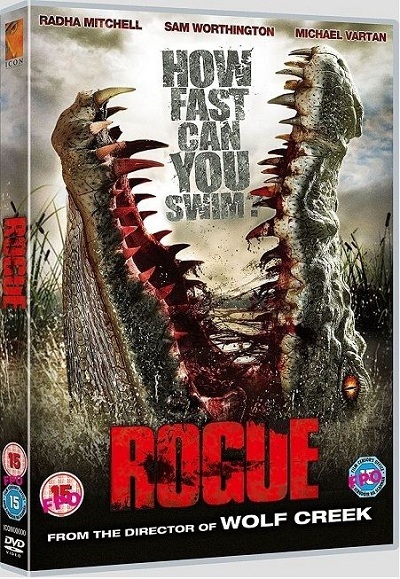 From the director of Wolf Creek, starring Radha Mitchell (Silent Hill) and Michael Vartan (Alias), it's about a great big stonking crocodile; what can go wrong? 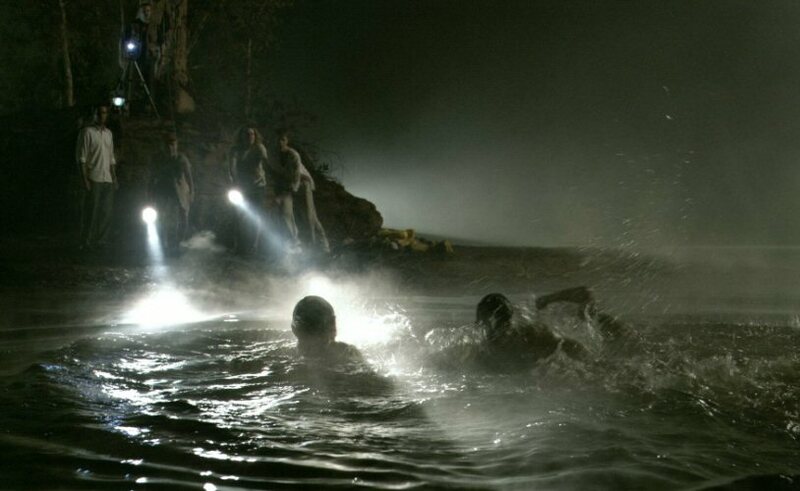 The group of tourists gets trapped by a rather large crocodile on a small island, that is rapidly being flooded due to the tidal nature of the river. Mclean knows how to keep the tension up in various scenes throughout the film. He also knows to surprise you, by breaking the tension with something unexpected. 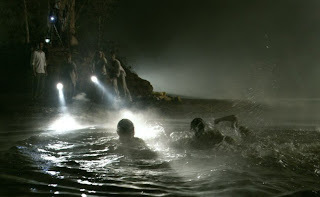 The night time crossing of the river is a stand-out scene. The only problems in Rogue are some of the cast. Sam Worthington. Can't stand him. I'm maybe being unfair but I still haven't got over how useless Avatar is. He's actually not too bad, but he brings back shocking memories. Then there's the family where the mother has cancer. The mother and father are both irritating. I was glad when they were out of it. They don't necessarily get killed though. 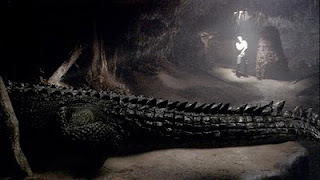 The practical and CGI effects work well on the crocodile and only a few shots look ropey. Most of the time it looks believable. There are some amusing deaths too. Not as many as you'd like, but okay. All in all, a fun film that exceeded my expectations.